Hope Outreach Clothing Ministry is one of our most important endeavors. We provide clothing, shoes and household items that have been donated by many people and other ministries. The need is so great with so many people moving into their first apartments and homes. 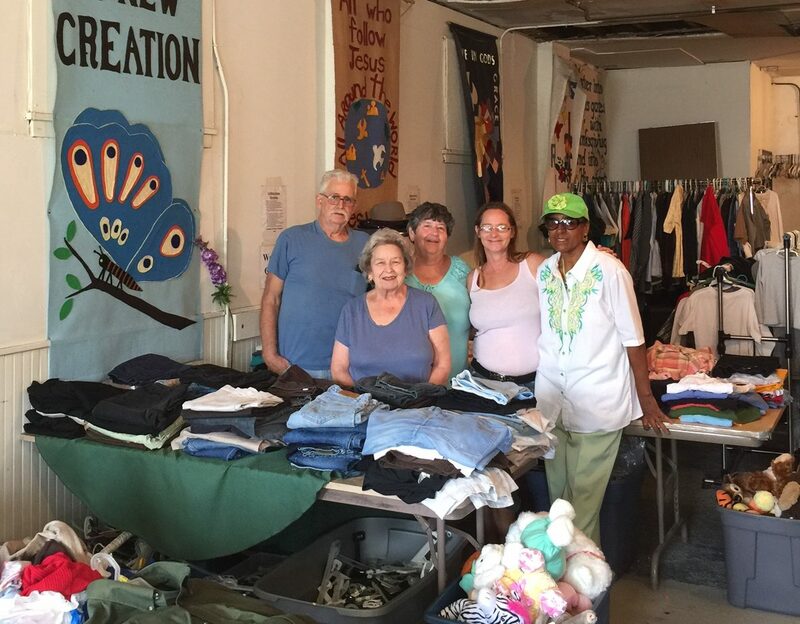 Darrell, Janice Lockhart, Marie Samples and O'Gearya Thompson in the back row and Linda Cling in the front row accept donations and sort and arrange the room on a daily basis. They all serve in many other areas of the ministry also and are very dedicated to the Lord.